This beautifully-assembled collection has been an inspiration over the past few months. There are many amazing images, and beautiful repro/packaging on show, but it’s the sheer narrative surge, the urgency of the photobooks themselves as assemblages that grips me. 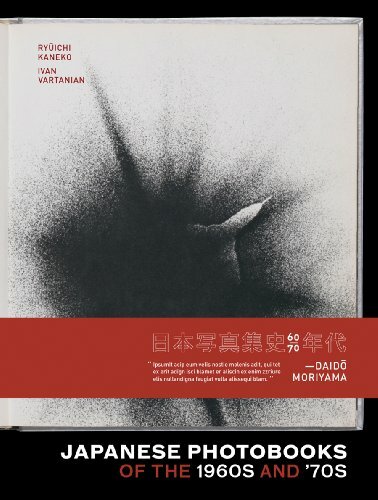 Give me 90 minutes with Hosoe’s Man and Woman or Kikuji Kawada’s The Map over watching a film (other than Tarkovsky, maybe) any day. An essential purchase, though a frustrating tease for those of us without access to the original books. Shame that so many of the volumes lovingly-reproduced here havent’t been reprinted, and are only available at auction for crazy collectors-only prices.